On the 17th of December 2011 (54 days ago), Khader Adnan began his hunger strike in protest of his ill-treatment in Israeli detention and his arbitrary detention without charge or trial (known as Administrative Detention). He is in danger of dying at any moment. His wife, Randa, who saw him for the first time since his detention yesterday described his condition as rapidly deteriorating and that he has lost a third of his weight and his hair. In Palestine, Khader Adnan’s father joined fellow prisoners and student activists in hunger strikes and protests to call for Adnan’s freedom; meanwhile, an Israeli court upheld his arbitrary detention once more as his strike continued into its 54th day, and fellow prisoners joining the strike were placed in solitary confinement. Amnesty International has joined the global call for justice for Khader Adnan as Palestinian lawyers announced a boycott of the military courts. In occupied Palestine, another protest will take place on February 8 outside Ofer prison near Ramallah, from 12-3 pm. 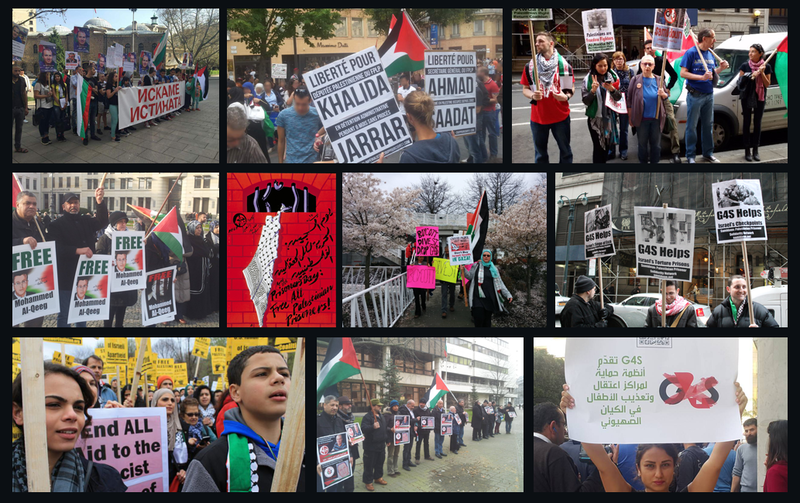 There is a global call to action for Khader Adnan. At least two US cities will hold protests on February 8, 2012 in solidarity – Chicago and Washington, DC. Please send your action information to samidoun@samidoun.ca for posting. For more information and to take action, please view the call to action!